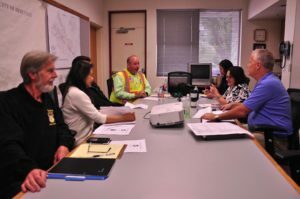 ever-evolving, the Nor Cal Committee has maintained and gained good protections for the members within this new agreement. 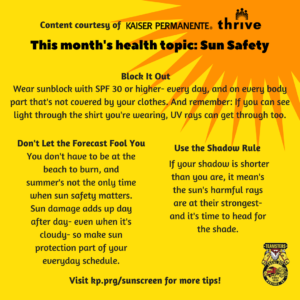 Kaiser Permanente teaches us how to love the sun safely with these three tips! 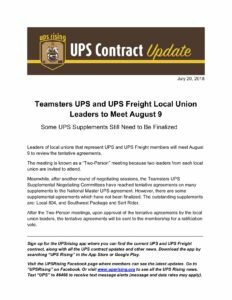 Teamster leaders representing UPS and UPS Freight members to meet August 9th to finalize UPS supplements. 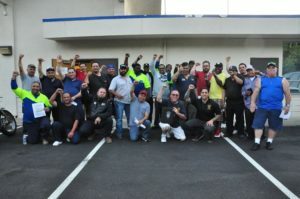 Teamster brothers from Local 315 and Teamsters Local 150 gathered to vote in favor of their new contract, guaranteeing higher wages and improved benefits. 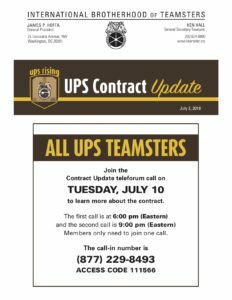 Attention UPSers, there will be two scheduled conference calls on Tuesday, July 10th at 3pm PST and 6pm PST. You only need to tune into one call since the same contract information will be provided. 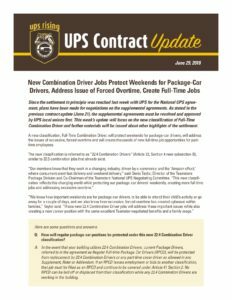 New combination driver jobs protect weekends for package-car drivers, address issue of forced overtime, and create full-time jobs. 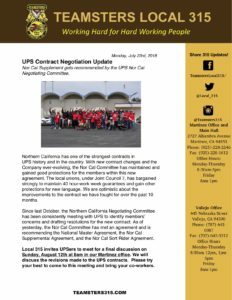 The International Brotherhood of Teamsters’ UPS National Committee has reached a settlement for the National Master UPS agreement. Here are some of the significant improvements made by the union. 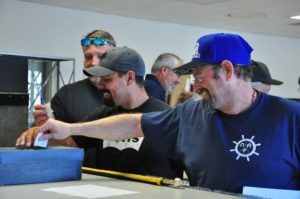 JOB OPENINGS: Republic Services in Pacheco has 9 openings for Residential Recycle (Casual) Drivers. 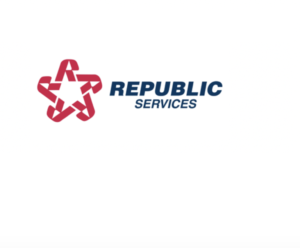 Apply online at http://republicservices.jobs/ by July 6th. 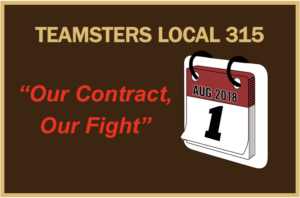 Earlier today, Shop Stewards Eric Wright, Glenn Moniz, and Rozen Stafford from the City of Hercules met with Business Agent John Bottali for their second round of contract negotiations.